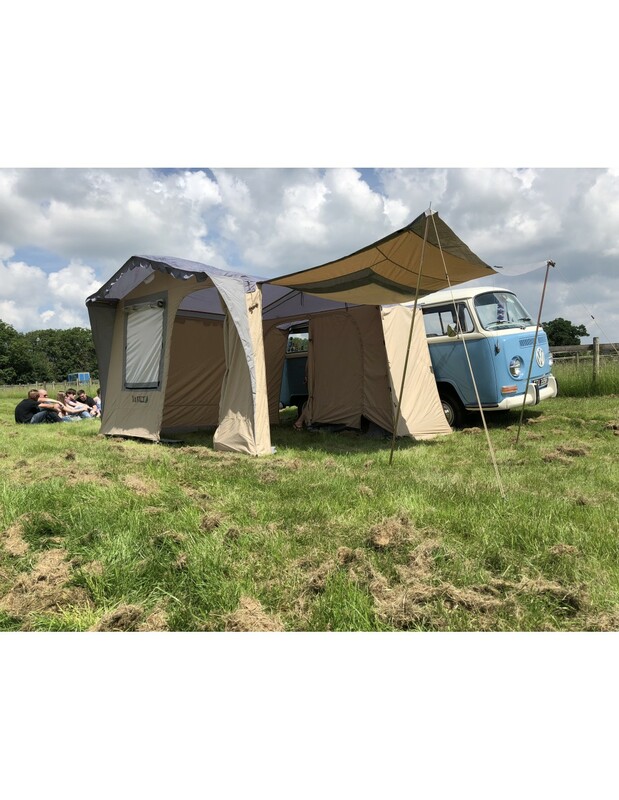 Welcome to our NLA VW Vintage awning 2018 Edition. This year, we have added a nice feature of a built-in Roof T bar section to support the connection part roof next to the rain gutter. This support will help to release any rain water collected in this flat roof section. 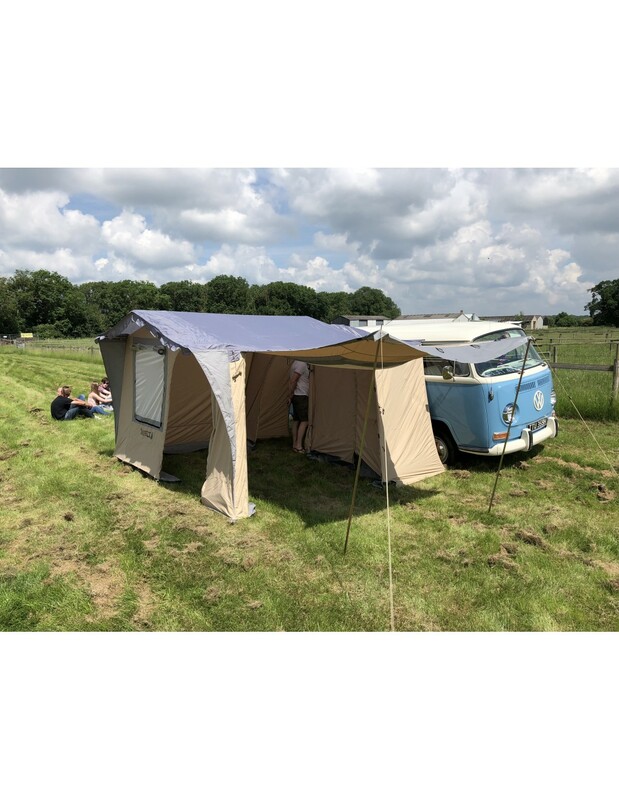 Again, the side wall with a window can be zipped open and pull out setting up as a nice suncanopy as shown in the photos. All sun canopy poles and guy ropes are included. This awning has beige cotton walls and grey Oxford-polyester roof to keep a high index of water proofing. 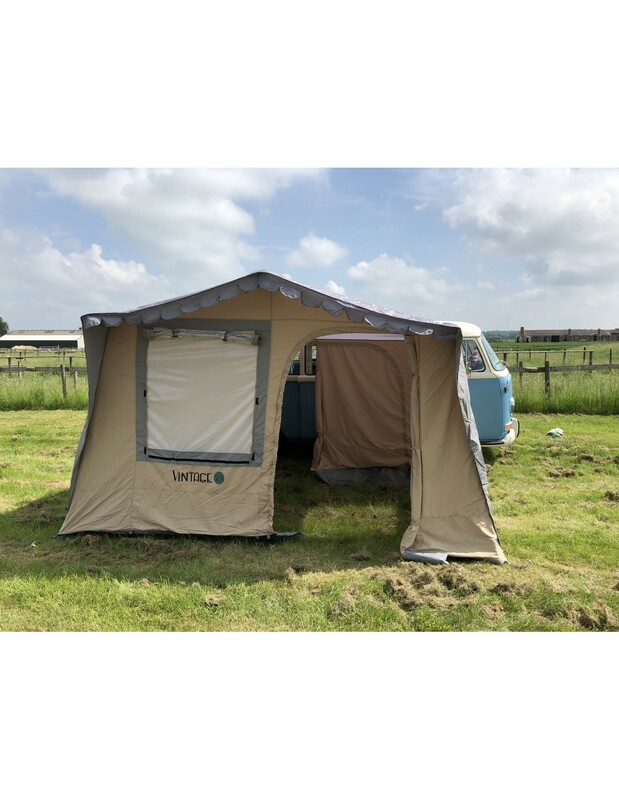 The ground sheet and 1 inner tent (sleeps 2 people) are included. Steel poles, guy rope, tent pegs and gripper clamps are also included. 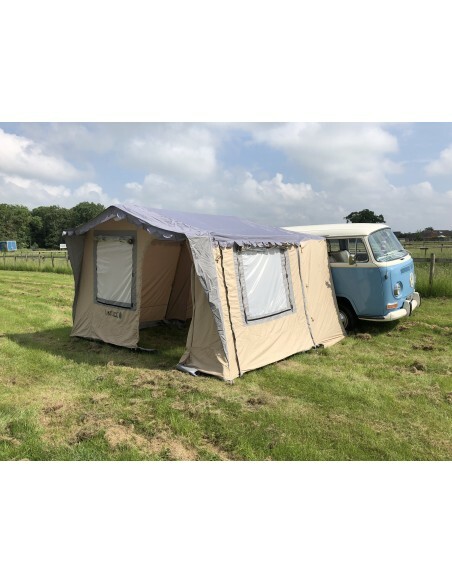 This vintage beige awning is a very nice awning, and the colour is the same as the original tan Westfalia roof canvas. We have used it under heavy rains and never had a problem. All walls are made of poly-cotton and the roof is made of Oxford Polyester, so the roof waterproof level is 3000mm Hg and the walls are 800mm Hg. The ground size is 3.4m W x 2m D, and the height is 2m (with adjustable legs). The poles are 14kgs and the canvas is 12 kgs, in total 26kgs. Hi there, would this be suitable for our 1966 T2 split ? 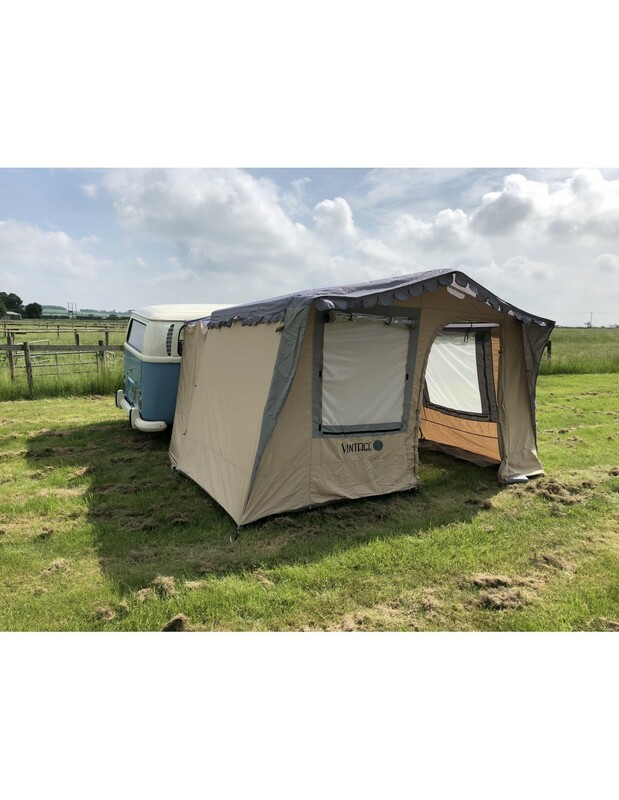 Yes, this awning is specially designed for T2 Splits and Bays. It will be suitable for your 1966 T2 Splits.